What is Exposure Screen Printing? Exposure screen printing is a process that enables you to create a permanent stencil for your screen. Drawings, text, photos, mark making and many more design methods can be fixed onto a screen, ready to be printed multiple times onto different surfaces. No need to cut a stencil. 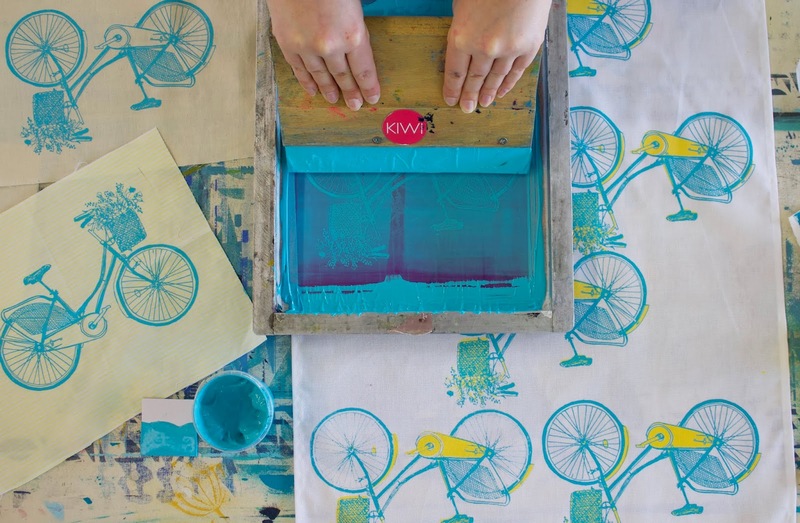 This is a fantastic session to throw you in to exposure screen printing. Perfect for people with little or no experience. The workshop is a great opportunity to see how the magic works from creating your own design, seeing it exposed onto screen through to pulling a squeegee and ink to print your finished product. 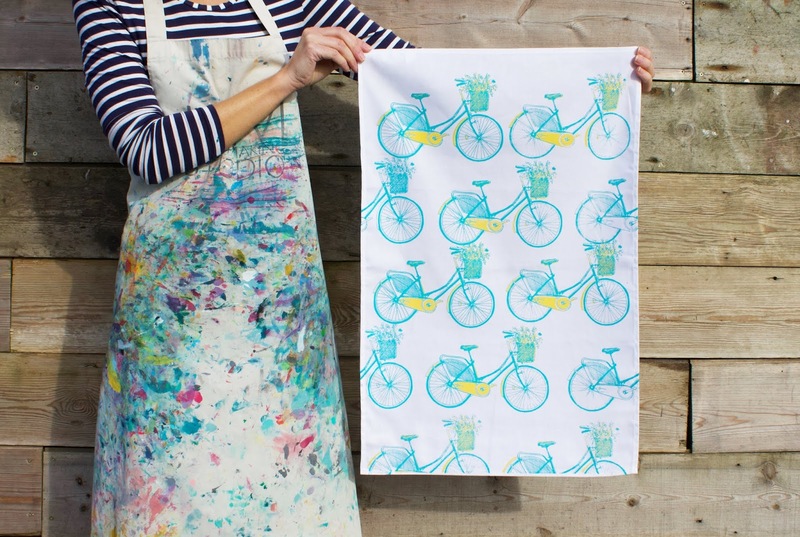 You can select to print onto either a tote bag, t-shirt, cushion panel, or tea towel. We will also grow in some paper for you to print onto and take away. 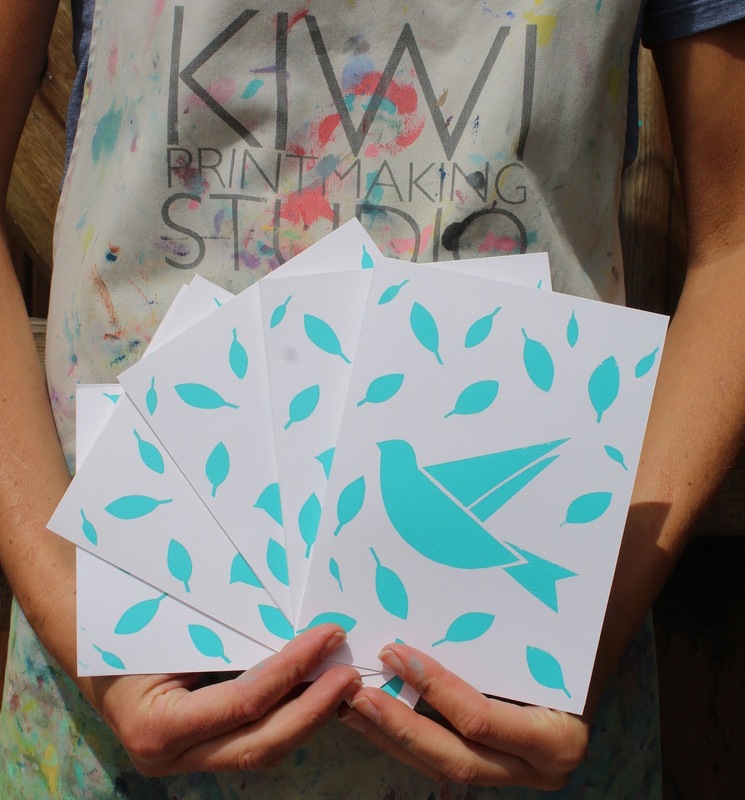 Join us at kiwi for a fun and hands on 4 hour fabric screen printing workshop, you will learn how to cut your own stencil, mix inks and print onto fabric. For those who want to use their one off printed pieces for some homemade homewares, we will show you how to create a repeat patten perfect for cushion covers, pencil cases or even your very own lampshade. Kiwi also offer lampshade making classes for those who want to take their skills further. What to Bring: All materials are supplied by Kiwi and covered in the cost of the workshop. 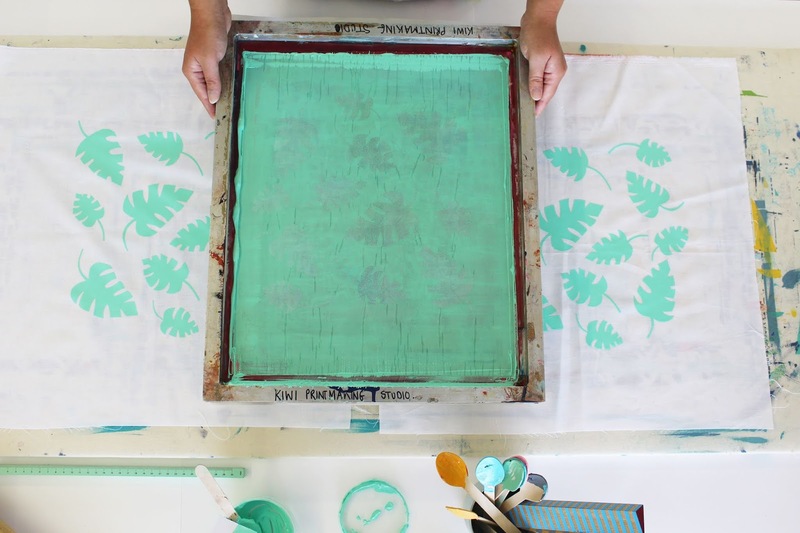 To help you create your own unique screen print we suggest bringing along some visual inspiration, this can be anything from gardening books, to magazine cut outs, photographs and fabric swatches. Anything that will help you feel inspired. Create your own set of A4 paper edition prints, perfect to take home and frame or use as little gift ideas. 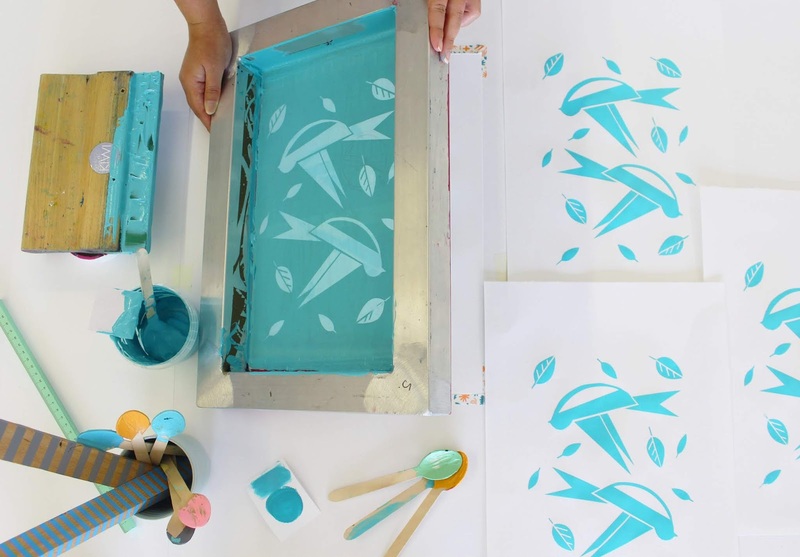 This workshop is great for beginners wanting to learn the simple delights of the traditional hand cut stencil, learning how to cut your own unique screen printed image, mix inks for paper printing, and pull prints onto paper. You will be taught how to edition your prints ready for framing. 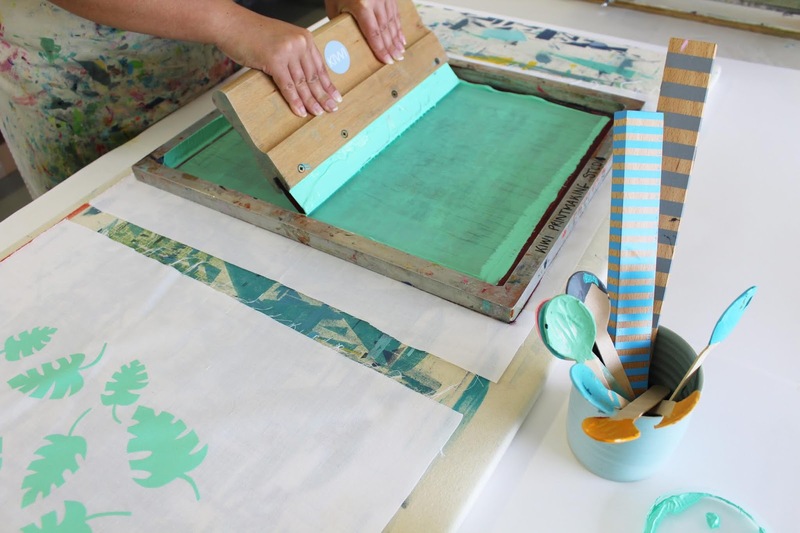 Tutors: Kiwi workshops are run by qualified printmakers Dena O'Brien and Ella Brett both have a wealth of printing knowledge ready to help you make the most of your time at Kiwi.